To speed their transition to value-based care, healthcare organizations are investing in next generation predictive analytics and data lakes, a powerful data architecture with a unified location for mining and analysis by clinical departments, business analysts and data science teams, according to a new infographic by EMC2. 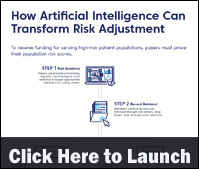 The infographic looks at where predictive analytics can make a difference and steps to navigate a healthcare data lake. 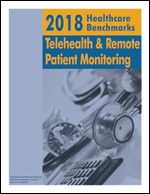 To reduce avoidable emergency room use, particularly by perennial high utilizers, many healthcare organizations are replicating post-discharge data mining and care coordination tactics that successfully reduce hospital readmissionsnamely, heavy applications of predictive modeling supported with a blend of embedded case management, telephonic outreach and patient education. 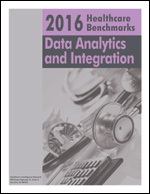 The use of predictive modeling in particular for this purpose has jumped from one-quarter of respondents in 2011 to one-third of this year’s respondents, while ED registry and census use has jumped from 16 to 25 percent in the last three years according to results from a third comprehensive survey on reducing avoidable emergency room use by the Healthcare Intelligence Network. Telephonic outreach to patients recently visiting the ER has almost doubled in the three-year period, with 31 percent making contact within 24 hours and 29 percent within two days. The percentage of respondents placing either a case manager or social worker in the ED for the purpose of managing ED utilization has risen from 33 percent in 2011 to 50 percent this year. Melanie Fox is director of the Caldwell Physician Network Embedded Case Management program at Caldwell UNC Health Care, where embedded case managers in both primary care practices and work sites use telephonic outreach to reduce avoidable hospital utilization. “One of the goals of embedded case management is to reduce ED visits,” she says. “This is one of the harder things to be able to manage but it is a goal. We don’t know our outcomes yet, although I am starting to measure that. Ochsner Health System is also applying its automated and risk-based post-hospital-discharge follow-up approach to its ED population, connecting them to community resources, a nurse advice line, or the opportunity to schedule a follow-up appointment, depending on need. The process has reduced avoidable ER utilization by between 13 and 15 percent, depending upon payor and location, according to Mark Green, system AVP for transition management at Ochsner Health System. Rather than driving business away from Ochsner ERs, “We’re just letting [ER staff] manage a higher risk population within their emergency room and giving them time to spend more of it with the patients,” explains Green.